Here is yet another musical clown design intended as a bust figurine, which I had designed for Second Nature Design almost a decade ago. I must confess, I’ve always enjoyed drawing these goofy kinds of characters. Perhaps they reflect my own goofiness. 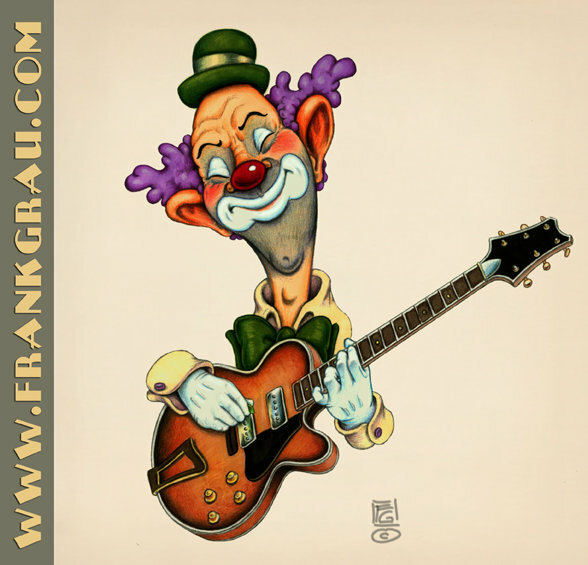 This entry was posted in Art & Design and tagged Art & Design, character design, clowns, giftware, guitar, illustration by frankgrauillustrator. Bookmark the permalink.